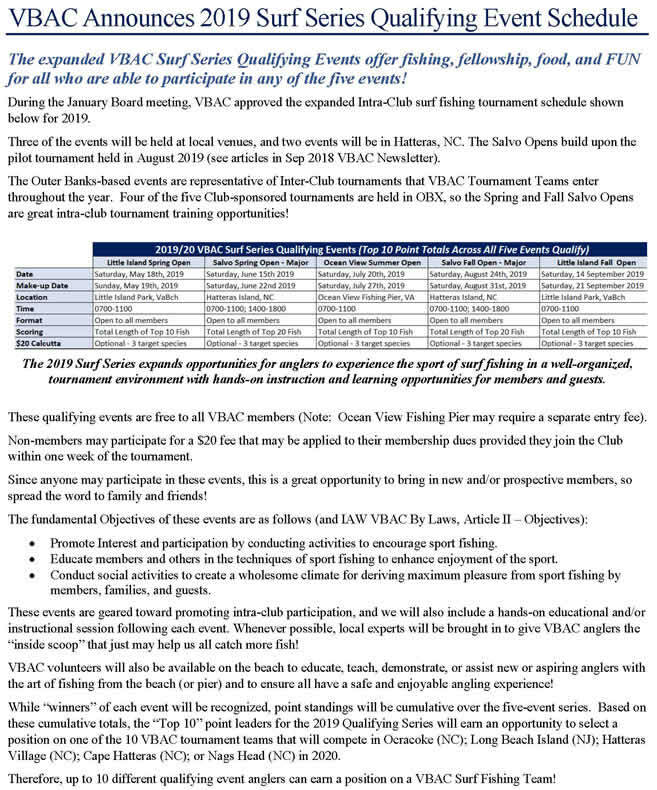 Welcome to the Virginia Beach Angler's Club! 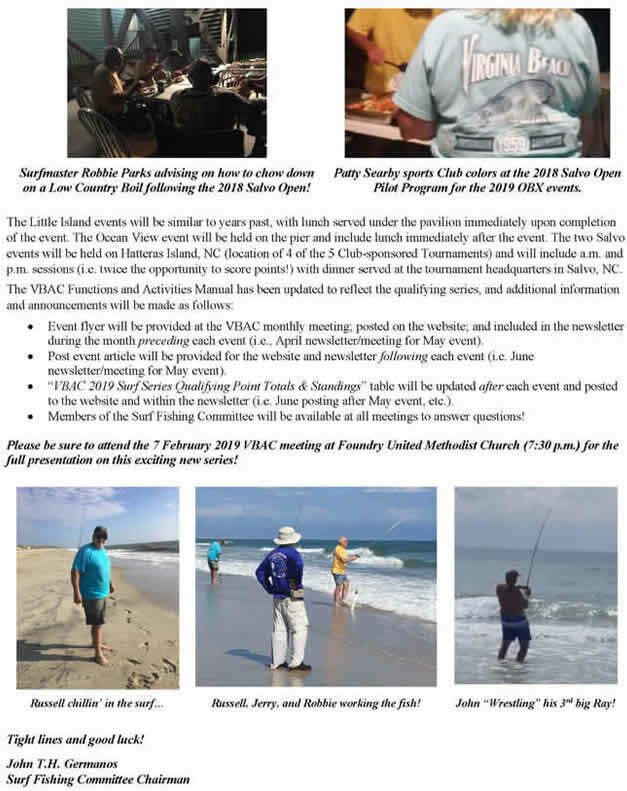 "A Family Oriented Angler's Club"
Meeting Place: Foundry United Methodist Church on VA. Beach Blvd. next to Beach Ford. 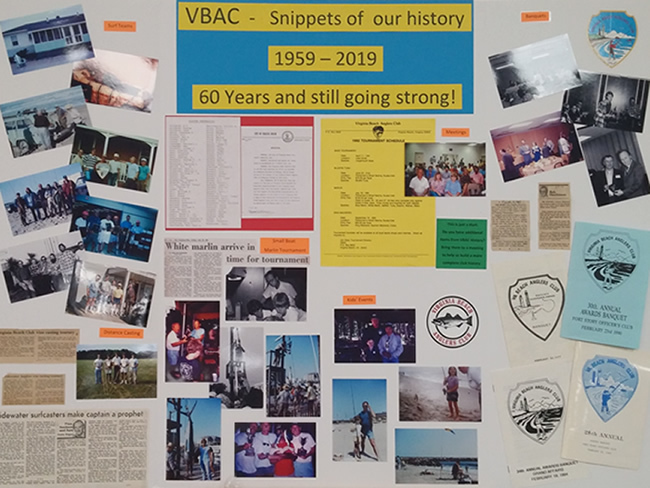 The purpose of the VBAC is to encourage sport fishing, both freshwater and saltwater, while supporting prudent governmental and other policies that promote the preservation, conservation and ecology of all marine life. Monitor legislative and regulatory activities relating to management of local and regional fisheries and participating actively, where appropriate, to assure the adoption of sound management policy and practices that best serve the interests of VBAC members. 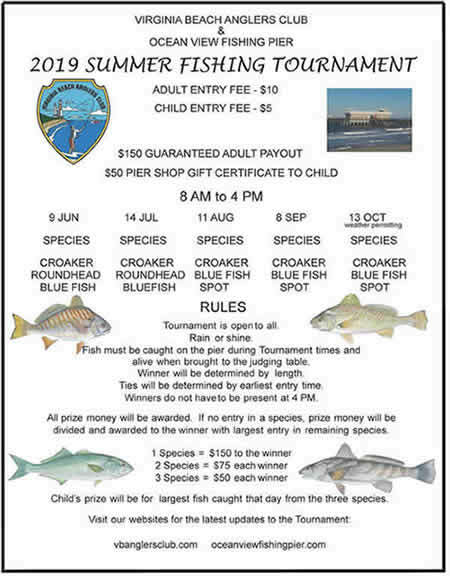 Promote interest and participation in recreational angling by conducting programs and activities that encourage sport fishing. Educate members and others in the techniques of sport fishing to enhance their enjoyment of the sport. 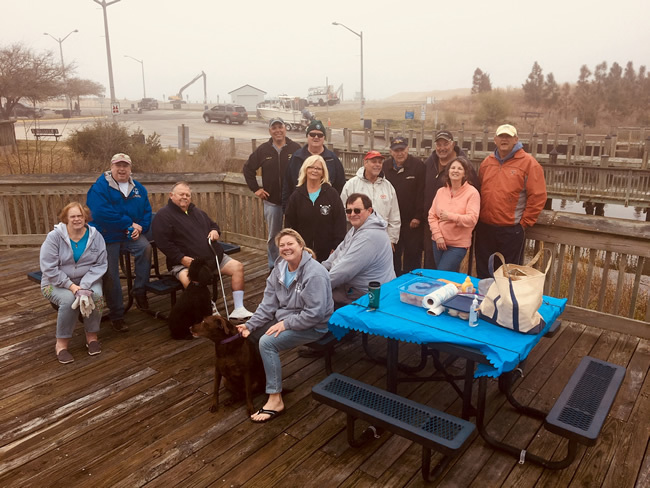 Conduct social activities that create a wholesome climate for deriving the maximum pleasure from sport fishing by members, their families and guests. Plan and conduct fund raising activities to provide the revenues needed to support these objectives.